Sometimes it is important to take out time to learn from successful people how they manage to still keep who they are or be calm inspite of their work load and activities. Dr. Travis Bradberry, shares some useful tips on how successful people still manage to keep calm in this very busy world! 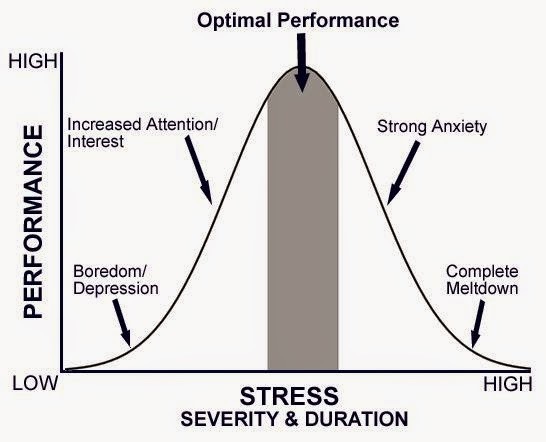 million people, and we’ve found that 90% of top performers are skilled at managing their emotions in times of stress in order to remain calm and in control. It’s tempting, yet entirely ineffective, to attempt tackling everything by yourself. To be calm and productive, you need to recognize your weaknesses and ask for help when you need it. This means tapping into your support system when a situation is challenging enough for you to feel overwhelmed. Everyone has someone at work and/or outside work who is on their team, rooting for them, and ready to help them get the best from a difficult situation. Identify these individuals in your life and make an effort to seek their insight and assistance when you need it. Something as simple as talking about your worries will provide an outlet for your anxiety and stress and supply you with a new perspective on the situation. Most of the time, other people can see a solution that you can’t because they are not as emotionally invested in the situation. Asking for help will mitigate your stress and strengthen your relationships with those you rely upon'. Dr. Travis Bradberry is the award-winning co-author of the #1 bestselling book,Emotional Intelligence 2.0, and the cofounder of TalentSmart, the world's leading provider of emotional intelligence tests, emotionalintelligence training, and emotional intelligence certification, serving more than 75% of Fortune 500 companies. His bestselling books have been translated into 25 languages and are available in more than 150 countries. Dr. Bradberry has written for, or been covered by, Newsweek, BusinessWeek, Fortune, Forbes, Fast Company, Inc., USA Today, The Wall Street Journal, The Washington Post, and The Harvard Business Review.